I LOVE Freebies. 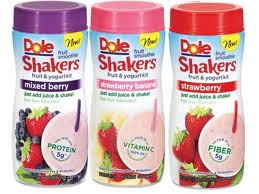 Here's your chance to pick up some FREE Dole Smoothie Shakers at Target. These are GREAT for an afternoon snack and also a tasty treat for the kids!